Stroll through the Lower East Side on a hot cider walking tour and imagine what life was like at the turn of the 20th-century, when the neighborhood was home to the largest Jewish population in the world. Between 1880 and 1924, 2.5 million East European Jews came to the U.S., and approximately 1.5 million settled on the Lower East Side. Join the museum’s tour guides, including Amy Stein-Milford, the deputy director of the Museum of Eldridge who has lived in the neighborhood for 20 years, on a historic tour of the neighborhood with stops for tasty treats from area merchants. The walking tour reviews the history of the Lower East Side and discusses its transformations over the years. 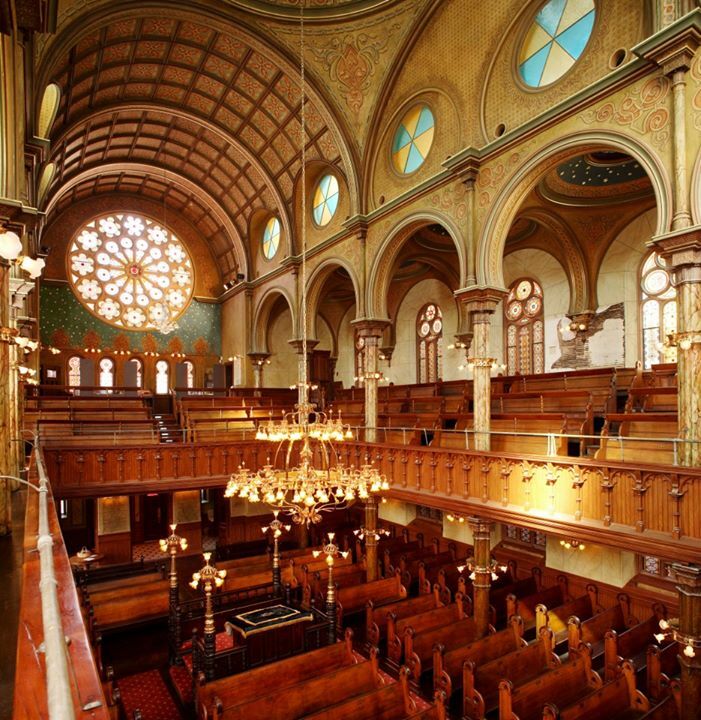 Guests meet at the Eldridge Street Synagogue, which opened on Sept. 4, 1887 and is the first example of a synagogue built from the ground up by the Jews of Eastern Europe. Though the synagogue slowly deteriorated due to a decline in membership during the 1920s and ’40s, it was deemed a National Historic Landmark in 1996 and restored fully by 2007, the synagogue’s 120th anniversary. Learn about the synagogue’s storied past and tap into Stein-Milford’s first-hand knowledge of the area on a popular Hot Cider Walking Tour on Sunday, Dec. 22, Tuesday, Dec. 24 or Sunday, Dec. 29. The walking tour includes stops at the popular Pickle Guys, the Sweet Life, where “anything can be dipped into chocolate,” and other staples of the Lower East Side.